But how many craft can it hold? Specs please!!! 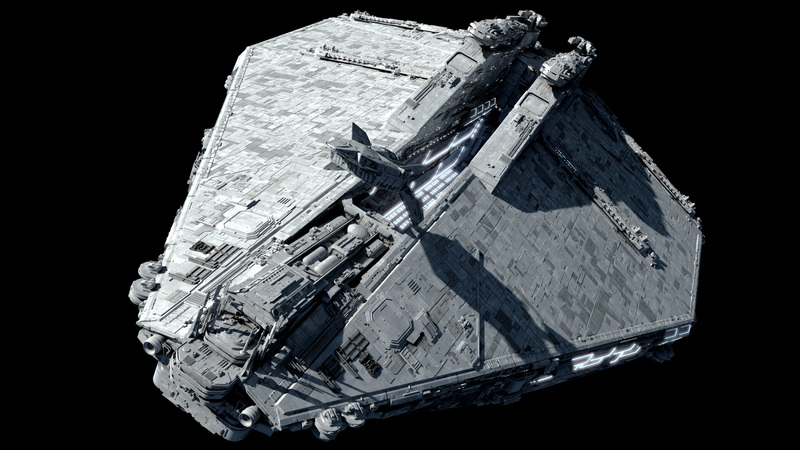 It’s not a starfighter carrier, though it can probably carry the Ground Support Wing of an Imperial Army corps (I suspect it might even be able to carry a full Imperial Wing or more, given the description of the original craft this is based on, but I am not sure). A fighter wing is a ridiculously small volume compared to a regiment of AT-SPs. Configured appropriately internally, this ship could carry thousands of TIEs. 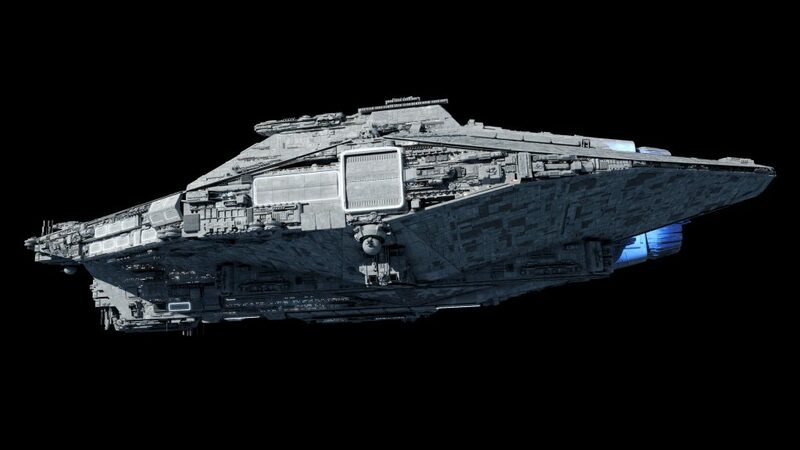 looks like a combination of the acclimator and Venator with a lot more internal volume. Disney needs to hire fractal full-time to create the new starship classes. And they need to give him pretty much free-reign over it. 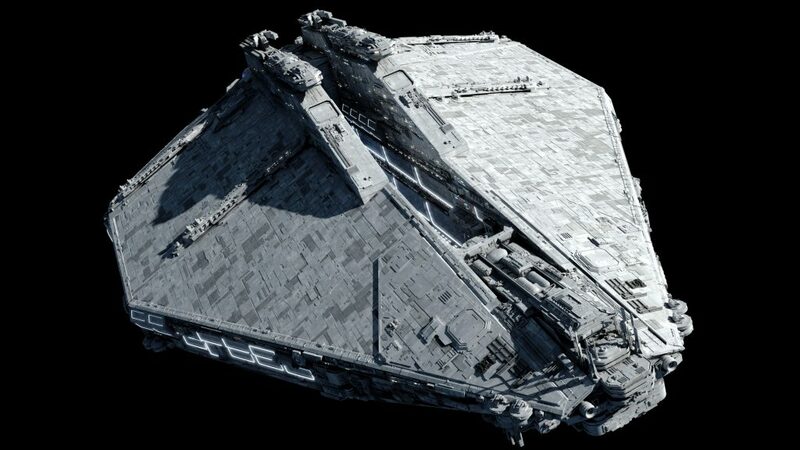 This looks like a venator who ate a piece of the death star! I originaly wondered if this ship even would need to/could land. It has enough hangars, that I guess, that it could easily carry enough dropships to deploy all of it troops without even landing. Similar to amphibic assault ships of our time. Those also dont land themselfs and instead carry both the troops aswell as the landing crafts/helicopters necessary to bring them onto the coast. Jesus, you could probably fit the entire USMC in this thing! This is a vessel I would use as mobile beachheads. Atmospheric landing warships carrying multiple battallions as well as dropships, bombers and vehicles while being heavily armored and laying down large volleys into attacking enemy forces or nearby fortifications. A couple of these ships landing with the assistance of fleet support and straggling gunships would create an instant, highly formidable beachhead. You turn a field into a heavily fortified FOB in an instant. 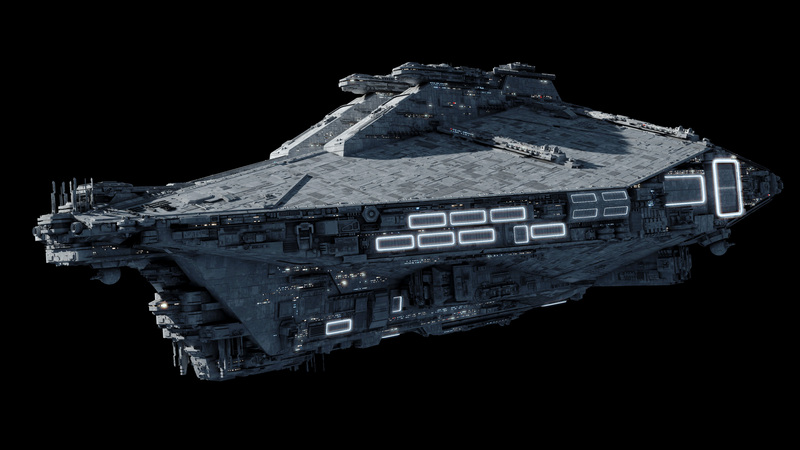 I’d definitely have a lot of these in my fleet if I wanted to occupy a planet. Who else saw the tertiary bridge? I saw it on many ships, and I wonder: what are the smallest hangar bays (like the ones on the side) carrying? Dropship bays, for stuff like LAATs. Neat but which small bays the one in fours or the one right next to the shuttle bay? Also I though they where starfighter bays. Most bays can probably be multipurpose. For something this big, it shouldn’t be hard to configure a bay for either starfighters, dropships, or tanks. So what’s the dimensions on this? I think of it as a starfaring analogue to a Bayfield class Attack Transport. A couple of destroyer caliber guns for bombardment, a whole battery of lighter autocannons to take care of small craft and fighters, but mostly a slow, fat hull chock full of landing craft, light vehicles, and angry young members of the Greatest Generation. So Steve Bannon if you don’t mind me asking but are you the real Steve Bannon? …sad thing is, at this point I’m not even sure that would surprise me much. 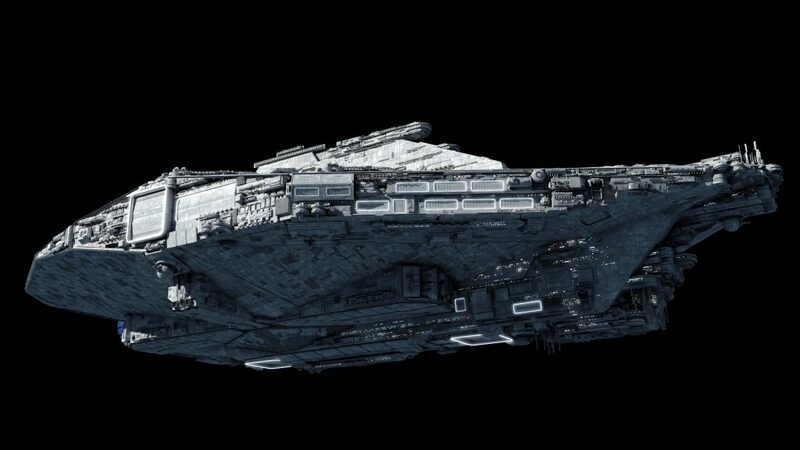 While this baby has unmistakable elements similar to the Acclamator and Venator, its overall shape and role make me also think of a massively scaled-up, military grade Star Galleon-type vessel. So Fractal have you saw solo yet and if so what is you thoughts on it? Personally, I though the whole WW1-style battle scene at the beginning of the movie was brilliant. They really nailed the atmosphere on that one. 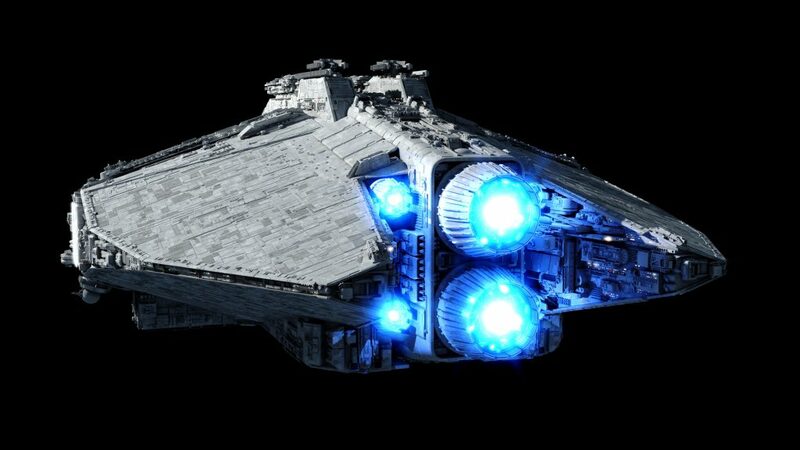 Would’ve been even better with (a) one of these monsters spitting out speeders & repulsortanks in the background and (b) an AT-SP damn near squashing Young!Han plus half his squad as it clunks over the trenches, but agreed. Plus, that snap transition from the prior scene. Not even showing the Mimbanese was an interesting thing to take from Dunkirk, although it does seem odd for a unit described in the accompanying materials as an armored division to be seemingly comprised of mostly light infantry. I guess there’s the whole “draftee & prisoner team up to get the frak outta Dodge” plotline to focus on, but a few frames more armor/gunship action wouldn’t have hurt. That noted, color me amused by that Cthulhu cameo halfway through our (re)introduction to the Maw. Surely that means we’ll get Daala back at some point then. Just so long as (a) she actually gets to knock out a Mon Cal or two and (b) we *don’t* get Kyp Durron, the Sun Crusher, or that Death Star prototype/Darksaber crap back as a package deal. Sequel trilogy’s got enough superweapons & super-prodigies as it is. 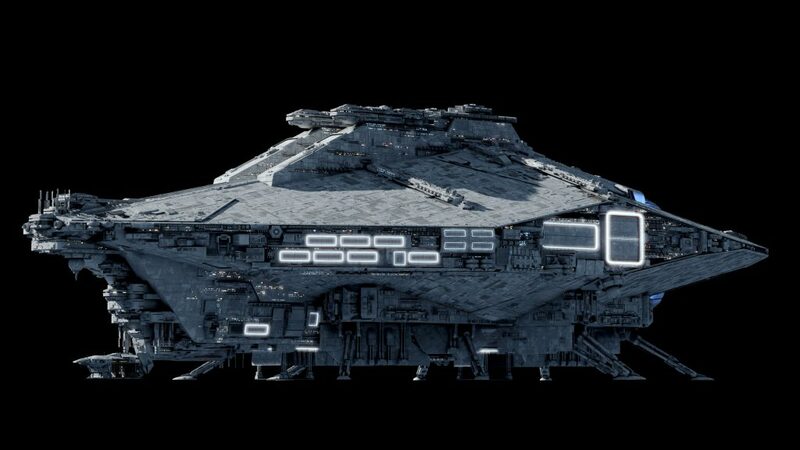 Is this your representation of the KDY/Evakmar Corps Landing Ship from the Imperial Sourcebook? 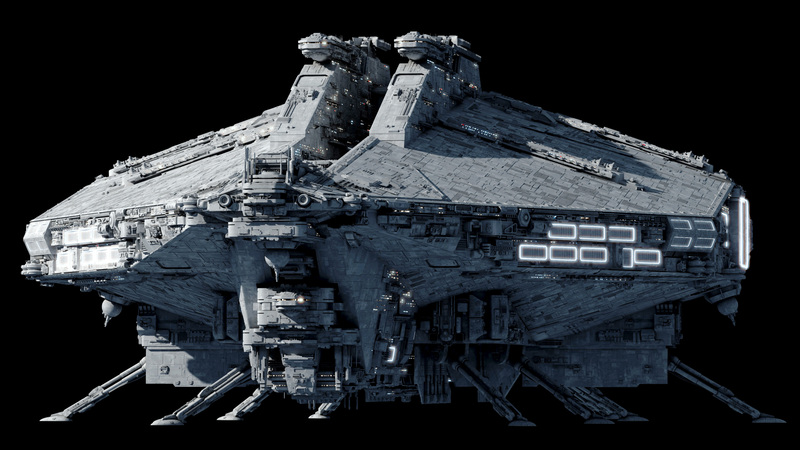 I tend to get a mental image of this design whenever is see the Landing Ship referenced. This thing looks awesome, but does it actually have any way of directly loading/offloading ground units? I’m not seeing any loading ramps or elevators to ground level. The big square bottom hatches are elevators (see the landed view with the Chi). But really it’s supposed to be more of a dropship base once landed than say, an Acclamator. Any repulsorlift vehicles can fly off any of the hangar bays as soon as it hits atmosphere. Heavier units can be disembarked directly, but they’d probably need some other transport anyway; heavy walkers are too slow and you wouldn’t want to ground the assault ship too close to the battlefield. Good to know. Though now that I think about it, wouldn’t just having elevators be kind of inefficient compared to having at least one ramp? The elevators can only hold so much per ride and considering their load they probably can’t move very fast compared to having a constant stream of units moving on or off the ship. There’s no reason the elevators couldn’t support a collapsible ramp as well – lots of switchbacks though. Main issue is that the ship is actually insanely large to be actually *landing* – think like half-kilometer long ramps, which look a bit odd. 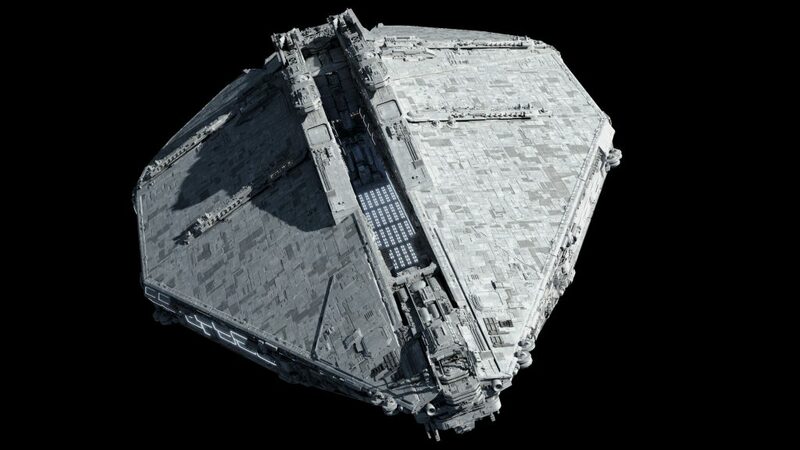 Really the ship was designed more as a mothership and base than a direct lander like the Acclamator. 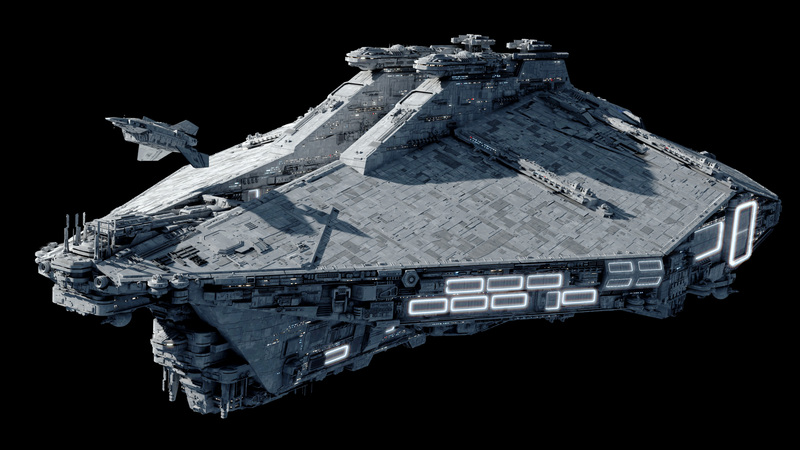 Possible counterexample: At Kashyyyk we saw that the Venator was parked only a few hundred meters behind the beach defense line, although we didn’t get to see it fire. 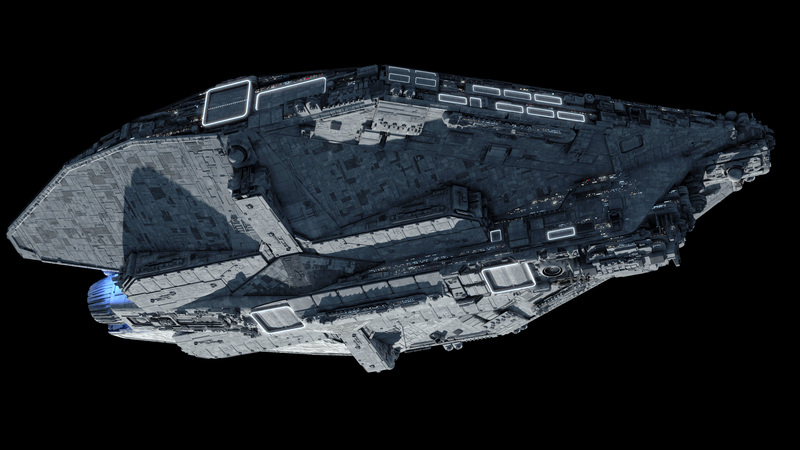 Venators still seem much closer to an Acc’s tonnage than either design would be to this lump, but that is curious. Emergency fire support and/or evac for Yoda & friends? Come to think of it: artillery surprises aside, parked capital support=no opposing theater shield, which seems to indicate any remaining CIS threat was very localized. They might’ve gotten lucky enough to pick off a Jedi Council bigwig, but otherwise the Kashyyk offensive was done (well, prior to Palpy’s conference-call coup). I don’t know where it was from but I think in one comic it was shown that the “landed” Venator on Kashyyyk unleashed a few of those Juggernauts/Turbotanks (those with the ten big wheels) directly to the battlefield while at the same time LAAT gunships and ARC-170s could be released from the dorsal hangar for air support. If the landed Venator then also faces the correct way it can additionally use its own HTLs as additional artillery support. The Venator’s main advantage was versatility after all. CIS theatre command might have approved the Kashyyyk operation under the assumption that the fleet forces concentrated to raid Coruscant would be significantly more successful than it actually was at drawing off and destroying Republican naval assets. Regardless, there’s a line regarding the CIS starting up a main power generator, and I can’t think of anything it would be powering except for a theater shield, although it is odd that a C-9979 landing barge carrying the better part of a brigade was allowed to land within line of sight of the Venator’s flank HTL batteries without any challenge. Maybe the Captain of the Venator didn’t want to risk too much collateral damage from a HTL bombardment? These things are already pretty destructive in space so I could imagine them being even more effective on a planet’s surface. It’s also not the Empire yet so they would still cling to the, to quote Sheev: “Hypocritical morality of the Republic”. Right, atmosphere-roasting death for unprotected friendlies, though you’d think lighter TLs or ion would’ve remained on the table. Theater shield in the way, perhaps? 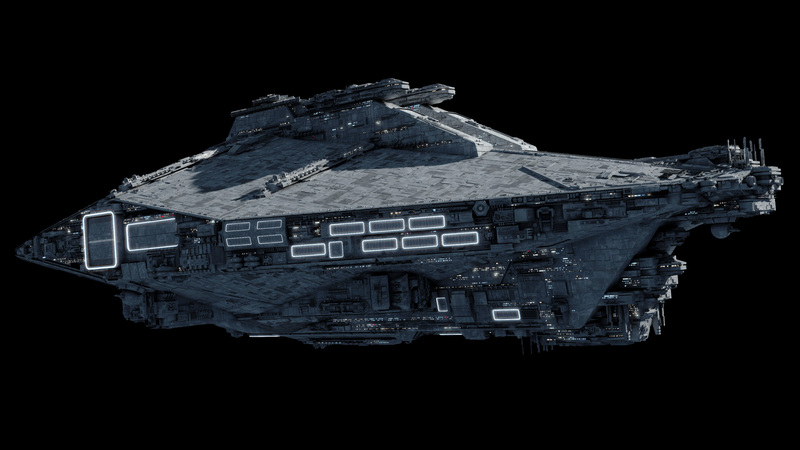 Venators don’t carry lighter TLs or Ions, only HTLs and PD cannons. 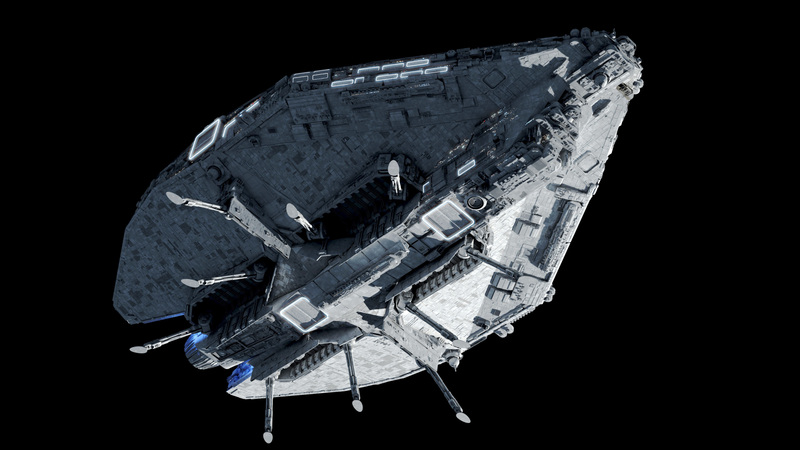 Venators do carry some medium turbolasers though, in official canon they have two dual medium turbos (one on each side near the bow in the trench) and an unknown number of lighter broadside cannons were shown in RotS itself which don’t seem to be PD lasers. They don’t have any Ion cannons though. I haven’t re-checked the numbers, but it’s within the ballpark of that old estimate. Obviously you can swap back and forth as long as the volumes all work out. The company barge evolved into the Chi-class. You know Fractal about the infantry dropships are the Sentinel kinda already are infantry dropships? but since you separate it then what are the differents? the only different I can think it those infantry dropships are smaller than the Sentinels. I was thinking stuff like my LAAV/i. Sentinels are pretty big actually. Oh so the LAAV/i are the infantry dropships you talking about right? As for the sentinels’s size yeah I do see them being big as they are 38 meters long. Edit: Just realize that the DX-9 stromtrooper transports are also kinda like infantry dropships so that one make more scene. 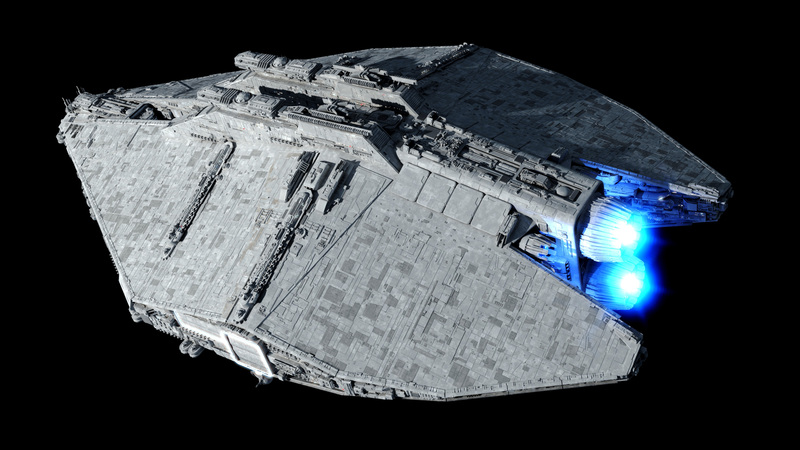 DX-9s are fairly overkill for atmospheric work – they have hyperdrive, ion, a huge warhead load, and shields and acceleration to sort of survive starfighter attack. I think the purely terrestrial/surface vehicles just work on a totally different power scale from starships, which helps to explain why starfighters are effective against walkers but speeders built for atmospheric as opposed to space work are not. It makes sense, since you don’t want casual gigaton scale firepower when the scenery can’t take it. Now that I think about it DX-9s was use for assaulting and boarding capital ships while the LAAV/is was use for ground assault. Does this make sense Fractal? So since the company barge are Chi class does that mean the Consolidator carry 48 Chi class heavy dropships Fractal? Would that fill up the entire capacity of the transport? In theory, according to the Imperial Sourcebook an Evankmar-KDY should be able to carry any Corps in any configuration, with room to spare. If this behemoth doesn’t match that- well maybe the Imperial Sourcebook was just wrong (not impossible, given that it notes that the information is supposedly actual intelligence gathered by the Alliance)? I find it hard to believe the Empire would need anything bigger than this for this role. 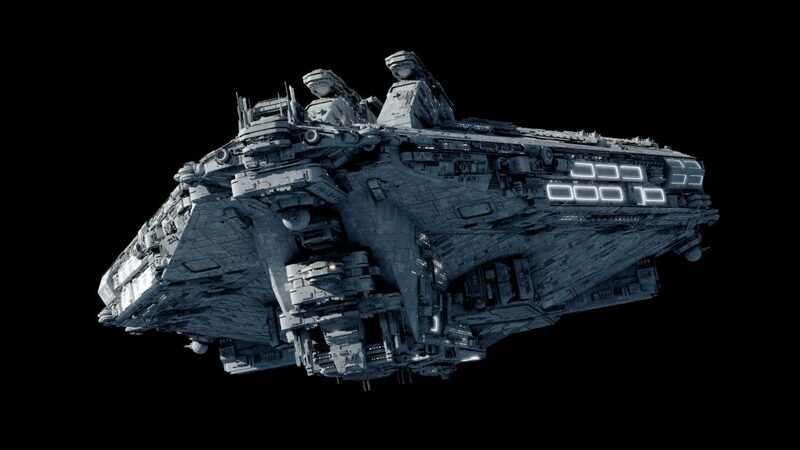 Gotta love how shading & thruster bloom highlight’s this beast’s profusion of greebles, gaps & antennae. Plus, I retain a soft spot for big corvette/frigate-whacking ball turrets. What is the overall length? And also great use of windows! IMO the best windows on any of your designs. Really helps the reveal scale which, as I am sure you know, is a trick used by ILM since the first Star Wars. The Chi launching from the ventral bay for scale is a nice touch. 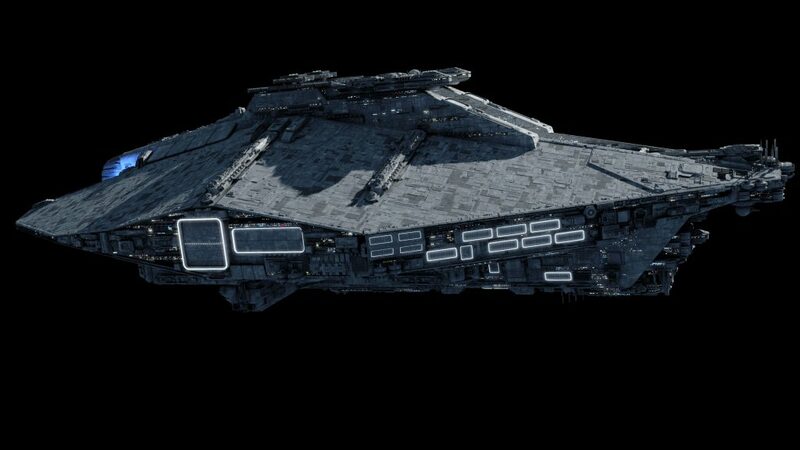 When first I saw the Venator, I used to think that having two separate command towers for a warship was an unrealistic choice, but then the Brits launched the HMS Queen Elizabeth and proved me wrong. Considering the Venator is primarily a carrier and secondarily a (medium) destroyer, this layout makes some sort of sense, also in light of how big the fighter complement of a single Venator is. Ok, I think I understand the philosophy. What could maybe have worked then would be joining some of the smaller hangars into larger ones and making them less prominent – like recessing them a little into the bulk and somewhat reducing the neon-billboard effect of the lights. But that’s ok – I’ll eagerly await your next design. If it conveys the same sense of scale and massiveness as this guy I’m more than happy. I can see that working, and I get the aesthetic point. However, if you went with fewer big bays then you’d have the problem of having giant apertures instead – so if you drop shields to sortie from the big bay, the *entire* bay becomes open. Tradeoffs. Suppose a similar principle applies to large ramps, with the added hassle of their deployment/retraction mechanisms. Granted, if this thing’s getting pounded hard enough to compromise any of that its escorts are clearly not doing their job. Honestly, I don’t think the aesthetic issue is the number or placement of the bays, but rather the shield glow around them is too bright. Take your Impellor class carrier, for instance. You’ve got similar densities of bays, but the shield outline of the hangers is much dimmer and the bays are open, which tends to reduce the eye catching effect. Dim down the other hangers to the same level as the 4 small hangers just forward of the beginning of the hull taper and I think it would be fine. good lord this thing is huge. Could you mabye do the nebulon-k frigate next please? Love it, can we get any stats on this thing?